And within each type of power adaptor there are different wattages that your laptop may need—it can all get quite confusing! So let’s explore... How do you know which MacBook charger you need? The type of power adaptor you need for your MacBook depends on multiple factors: model, screen size, and year. So how do you find out exactly which MacBook you have? Directly below the OS version, you’ll see all the information you need to figure out which MacBook charger you’ll need; Model/Size/Year. Copy your MacBook model… in this case we would copy MacBook Pro (15-inch, Mid 2009), then on the Apple support page linked above, use the Find feature by clicking ⌘F and pasting the information into the search box. Tip: If it doesn’t find your laptop on the webpage, remove the comma between the screen size and year. Ta-Da!! You’ve found your MacBook charger, congratulations! 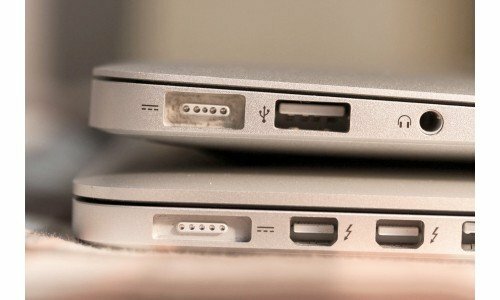 If you’re searching for a new charger because you bought a new laptop, sell your Mac to ItsWorthMore.com and get cash to help pay-off your recent purchase! To find out how much your old MacBook is worth, simply find your model and answer a few simple questions to sell your MacBook.